I will bet you that in an organization of thousands of employees, majority of employees will be indifferent to how their company generates the leads that then convert to paying clients which then pays their salaries. I say this because the people that have to hunt for sales are facing more stress, pressure, change, and urgency to deliver the results. It’s even several times harder if you are a freelancer, small business owner, solopreneur, mompreneur, independent rep, professional service provider. 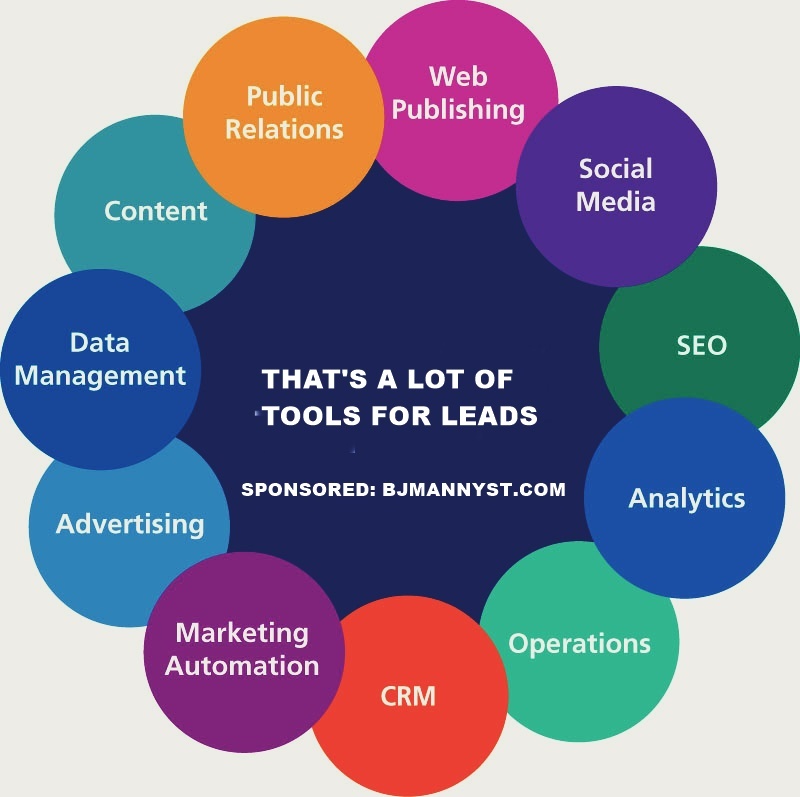 So I, Manny, and the BJ Mannyst team (marketing service provider) thought lets just put together a really simple lead generating ideas for service providers. We also realized that the more simple it is the likelihood it would create more competition in the marketplace. 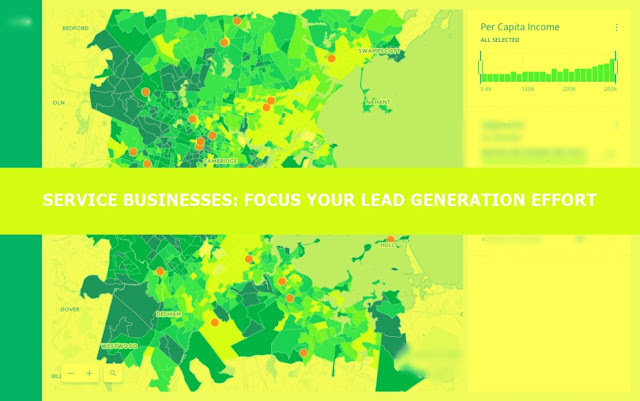 Clearly, it’s still a mysterious mapping procedure to precisely know what factors lead to quality leads. Maybe the A.I, Machine Learning, Marketing Automation can help get to more gold treasure chests instead of the still unpredictable outcome situations. Quick Reality: See the thing also is that B2B, B2C, B2G, etc. world is filled with numerous choices. There are thousands of flavors for MarTech, FinTech, CRM, ERP, CMP, Cyber Security, HRTech, SocialTech, Graphic Designers, Photo Editing, Video Editing, Data Management, Hosting, Events, Apps, SaaS, PaaS, Cloud, Social Media providers, hair-stylist, restaurants,etc that decision making has become a game of finding “Mr. Right”. No business wants to get it wrong. No consumer wants to get it wrong. Quick Thought: Maybe the future way to, unfortunately, beat out the competition is by purchasing more access or purchasing more competitive advantages. I know for sure the simple tips listed below would be helpful however the smart money is saying if I tip the beautiful waitress prior to my ordering I may be able to guarantee a great experience for myself and my clients. If I help enough people achieve their goals, I will achieve my business goals. If I buy the Washington Post, I can promote my best selling goods, cloud services, spaceship, and Prime membership far cheaper over time than my competitors. Why should a customer select you? Are you prepared to compete in a fierce marketplace? What is the sales cycle for your service like? Do your prospects need to be educated before they buy? The goal of your business? Who needs you and will pay for your service? Who will pay on a recurring basis? Who will pay on a pay-as-you-go basis? How do your ideal client make purchasing decision? Is the problem you are solving for very painful for prospects or can they deal with it another time? In some shape or form add the answer to your site, content, email, promotions, branding, etc. Just like owning a nail gun doesn’t make you qualified to be a carpenter. Every tool has to be executed well to help your business not hurt it. I recommend you get advice, read up on every aspect, or hire someone. Create a website that can capture leads. Set up an email auto-responder. Promote your business on social networking sites. Conduct Search Engine Marketing (SEM) and Search Engine Optimization (SEO). Track your traffic on all your web platforms. Maintain a list of customers. Keep a list of people who have contacted you online. Become active on listservs and message boards. Promote your business on news sites. Send releases out over the wires. Distribute your release directly to reporters. Don’t use a simple word processing document. Use industry know-how for B2B leads. Promote your company at trade shows. to your list or fill out a postcard. Follow up after the event. Attend industry events and meetups. Host events of your own. Sponsor a local non-profit organization or charity. Generate leads through local advertising. for Business, Yelp, CitySearch, CrunchBase, Angie’s List, Angelist. Most have a search filter for ideal targets. Some might require subscription but that’s a small price for reasonable good info. Even though there’s millions of content on the world wide web, in different languages in different format, doesn’t mean you should not make and share content. At the end of the day you have to show your brands personality with your own content. Part of preparing content is also taking the time to pick the keywords that suites your clients. Share things that are helping you get to know your contacts better. Clarity, Reasonable spacing, Good quality image, Maybe team profiles & history, Accomplishments, etc. There are many marketing tools provided by Google, Adobe, Oracle, Microsoft,IBM, Hubspot, and others that can definitely help your business generate more leads.There are too many to list, I believe the url to start would be www.google.com/business . Also make sure to keep your business contact info and your links up to date on all the relevant platforms. There are many ways to stay in touch with clients and prospects. In a world of "buy, buy, buy now" you can try to be the company that cares about others regardless if they buy or not. If you are delivering quality work consistently, you can simply ask clients and prospects for leads. Ask them to recommend you to friends, associates, relatives, and others. And if you have to reward them for their effort, do so. If you have the resources to organize an event that attracts the people you’d like to connect to, go for it. Or what you might want to consider is joining events that already attracts your target audiences. You can do it in different formats and purpose. Organizing free seminars, based on your subject matter, definitely helps create awareness and attract people. It is important you select topics and strategies the event detail properly and that it will help attract the audiences you desire. Be relevant to their topic needs not to yours. Create opportunity for a questions and answer event which makes for a open discussion. Organize it any where people gather or host it at establish community events. Once again, you have to be willing to help anyone even if they won’t buy from you but giving links to your website or other resources doesn’t hurt. Figure out how to organize a dinner or catered educational / relaxed events for loyal clients, promising clients, support and / or influencers. People usually gravitate more to events where food and drinks will be served especially if it’s a lengthy presentation. Once you present value, entertainment, offer them products or resources ask them to contact you or get their contact info to followup if they absolutely want more information. Every corporation knows the benefit of community involvement and social responsibility so they will do whatever they can to participate / get involve/ sponsor/ so they can stay relevant and be known as a good company. If you have time and some resources you can find ways to get involve in these corporate associate events like Google's / Apple's events which brings maybe industry people or diverse industry people to come out. You help your community and you will be seen as a generous business. If you just enjoy socializing and meeting new people, this a great way to create opportunity for yourself. You might not get leads at that moment however in time that warm contact could introduce you to others who might need your services. Just keep it casual and social not sells like. That’s why you always need to carry a business card, notepad, pen, note app, and / or anything that you can give others so they can contact you. Also get there’s too so you can add them to reconnect contacts. Another way to do this is setup a situations where people can get free consultations from you via email, social media, youtube, skype, telephone, at your office, at their friends house, community center, etc. The objective is to try to start the conversation about their problems, the solutions available, and why you are likely the one to assist them. People love receiving calls from people they want to speak to. If you’re going to call prospects, do your homework so you know who you are calling, what they are looking for, how can you help them, and do they have the means to pay you or is it a good time to approach them. If you’re going to ask someone to give you their time and attention on the phone, at least have the decency to explain why they should listen to you. Engage in warm calls only if you are certain the person who referred you will help your cause. Remember "warm it up"
The need for communities in this tech crazy world is growing. And that means many niche communities are popping up like crazy. Some are big, small, private, open, pay, free, etc. The point is finding these niche social platforms can make a huge difference. You can google search them / even checkout Facebook / LinkedIn/ Slake/ Whatsapp,. . .
One common tactic to draw people to you is figure out how to leverage a trending news, content, person, brand, launch, etc and try to connect it to what you are doing and share it. The more relevant your communication the better your ROI. Another way is to connect to a relevant cause that helps you. If you are really serious about the cause, then commit to it for the long term. A business needs to have a soul. Another way is to help others get exposure. How you do this part is up to you. If you have credible reviews, testimonials, nominations and awards , share it. People love being associated with winners and consistent winners. You are basically telling the world you know what you are doing. Share past relevant stories of your achievements. There are people in the world that people just trust and respect more than others. And if they mention or engage your brand it can make a huge difference to your lead generation, marketing, happiness, employees, future partners, venture capitalist. etc. One fast way to get access to your targets or partners or competitors is to join associations. Joining associations can offer better quality connections, better relationships, and better reputation. Plus they may also offer advertising opportunity. You can't afford to take your clients and customers for granted anymore. You have to give thanks and continue to add value 24/7. Don't wait for your competitor to force you to show your customers how grateful you are. I recently came across an ad by a number one coffee company aggressively promoting their loyalty program when they realized the number two and three were stealing customers from them. Let's just say something woke them up. A good CRM software, web based or offline based, is so crucial to business success. It will save you time and money if setup and used properly. For the service business and freelancers out there, it basically helps you stay on top of your game. I will recommend you try a few before you commit and asses the maintenance cost you can handle. Give me or the BJ Mannyst team a shout if you need tips. This is a time saver for a marketer. If you can find a strong concentration of your ideal clients, I will say try not to disclose of it. Well unless the audience is too big for you to serve by yourself. You can find this concentration if you are willing to look and explore. To all you service businesses, construction management and professional service providers, you need to create and nurture a great brand. You can really boost your revenue and leads and premiums if you develop a brand that wins business. The returns doesn't happen over night but long term it is a great asset for business. For branding and marketing help, give us a shout. Every business in some shape or stage has fallen for this trap. Trying to be everything to everyone. My tip is figure what you really do well, figure what your ideal clients need help with, and give it to them. People want you to say hey i can fix your small construction companies I.T. infrastructure, marketing, etc. People don't remember a do it all and do it average company. People want someone that will solve a specific problem and do it well the first time. If you do other things, you will be the first person they ask. Any possible surface on this planet can handle a signage. Your car, your notebooks, bags, employees, desktop wallpaper, computers, t-shirt, fences, lawn sign, door tags, key chains, etc. so go out there use all the free exposure you can get. The mindset to have is that your next client can be just a eyeball away. People love success stories. Success stories can work very well. A business like yours could go out there an just gather information as to how your solutions has change a business for the better. If you have a good content creator and manager you could really maximize the impact of this approach to attract leads to your business. One thing is always make it possible that prospects can speak to the client that had a successful outcome with you. In some businesses, A.I., Machine Learning, AR/VR, Drons, etc are a great way to present your offering as different or better option. So if it is applicable don't be afraid to adopt these technology to make your offerings seem and / or be advance. In some cases this can actually improve efficiency. The “DIY/Idea/How To” content are a big hit in terms of content marketing plus long-term usage. You can create it once and use it in any shape and form and still get engagement from it. Well, if it's an invaluable piece of content. This is really your chance to show prospects that you're serious, qualified, prepared, knowledgeable, etc in your subject matter. You are basically backing up your claims with proof. If you need further help in written content and design give us a shout. There was a time when emailing was very simple. Today's emailing and email marketing tactics, tools, automation are more sophisticated. There are more rules. There are more tracking. If you are not too tech savvy to properly do email marketing well, I will strongly you get help especially if you want to send bulk email to a lot of people. Plus the fact is, not every email you send will be opened so keep your expectations realistic. Check out the infograph below. ENJOY! For more marketing insights. The question becomes, how can you do all that, and still have time to serve clients, increase exposure, handle administrative duties, pay taxes, etc? The simple answer is to never do it all alone, get people, software, and partners to help you. To focus your effort just pick a few you can persistently execute on a regular basis without burnout or waste. ALSO GET BUSINESS & PROFESSIONAL HELP ASAP! Every lead generation approach that you choose should show what value you will bring to your potential clients so they can engage you. Effort should be made to make it easy for your contact to engage and educate themselves about your solutions quickly. There is always room for improvement when it comes to your lead generation strategy, so keep testing, implementing, assessing, and evolving your strategies to maximize the proficiency and ROI. All the tips above do not guarantee success. It requires constant adapting and changing.